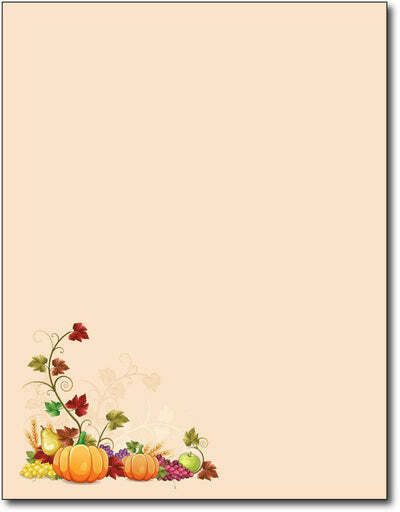 Fall Corner Stationery Paper by Desktop Publishing Supplies, Inc. is a simple design that works great for any fall holidays or events. This design features some staple fall elements in the corner such as pumpkins, apples, and colored elaves. several leaves.. The design is sure to impress!